Happy June everyone! I'm excited to bring you this month's SHORT STORY challenge! 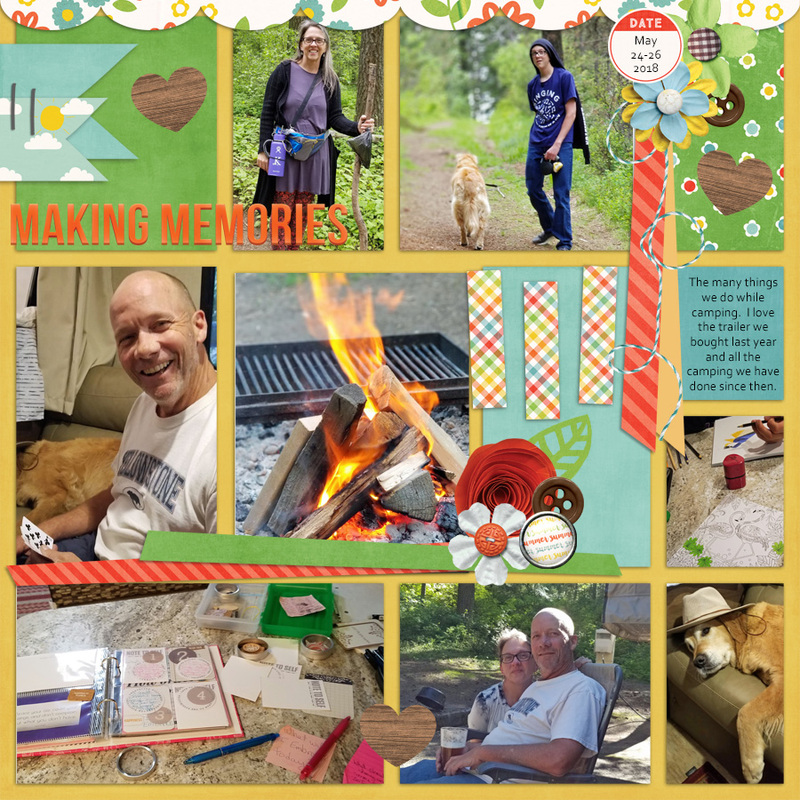 One of the biggest reasons that I scrapbook is to tell stories of both special and everyday moments in my life and that of my loved ones. I always enjoy going through old scrapbook pages so I won't forget those big and little moments and I like being able to pass them on some day for posterity. You can either tell a story visually (through a series of 3 or more different photos) or use journaling (at least 100 words). They say a picture is worth a thousand words and sometimes this is indeed the case. Especially with series of photos that are taken in burst or shortly after each other the whole story becomes visible without adding journaling. But sometimes... just pictures aren't enough to give a complete story and some journaling is needed. If you find it difficult to write journaling, just think about some details in the photos or of the day or write about your feeling during the moment displayed in the photos. Take it from me; once you start typing, it's hard to stop! If you're not a native English speaker (or writer, in this case) like me, you're more than welcome to write in your own language! But please add a translation (by google translate for instance) in the description of your gallery upload. Also, when the journaling is hard to read in your layout... please copy-paste the text in the description of your gallery upload. 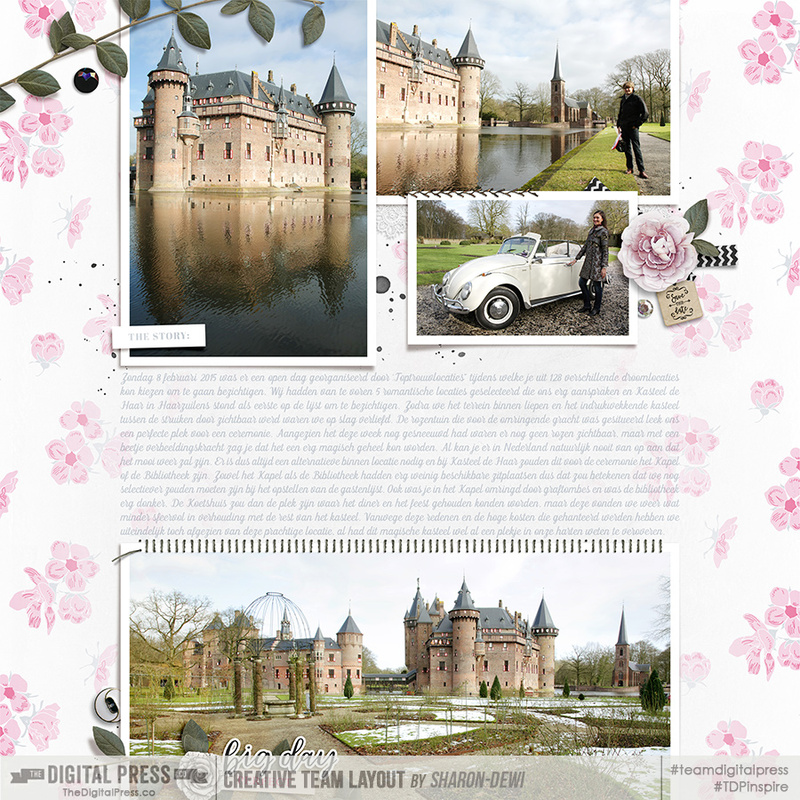 I can't wait to read and see all the stories you'll be telling in your layouts! 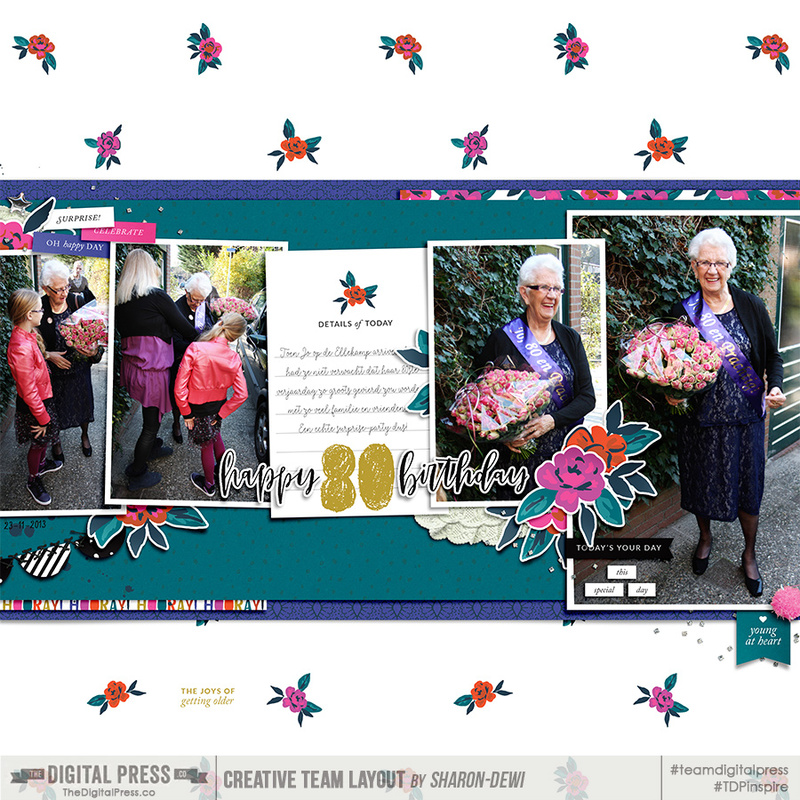 Your project must feature at least 100 words of journaling ---OR--- at least 3 photos that combine to tell a story. Your layout must use 100% TDP products. 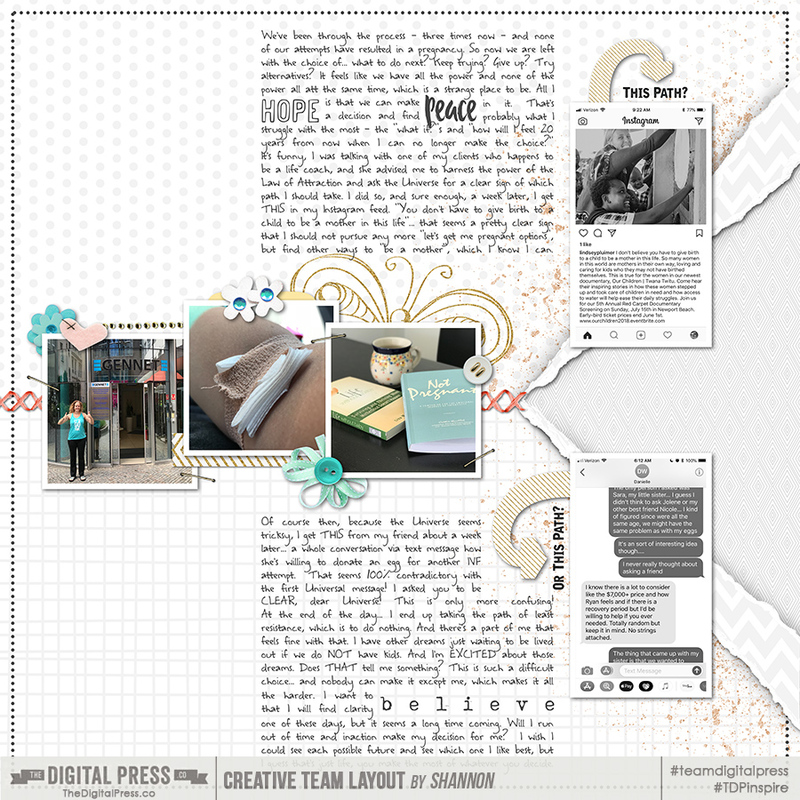 Your layout must be uploaded in the CHALLENGE GALLERY, and posted in a new reply here no later than 11:59 pm ET on June 30, 2018. Once you've loaded your page or project her and update your tracker in the JUNE 2018 TRACKING THREAD. Lastly, have fun, and enjoy this opportunity to challenge yourself! Last edited by Laura Passage; 06-01-2018, 02:33 PM. 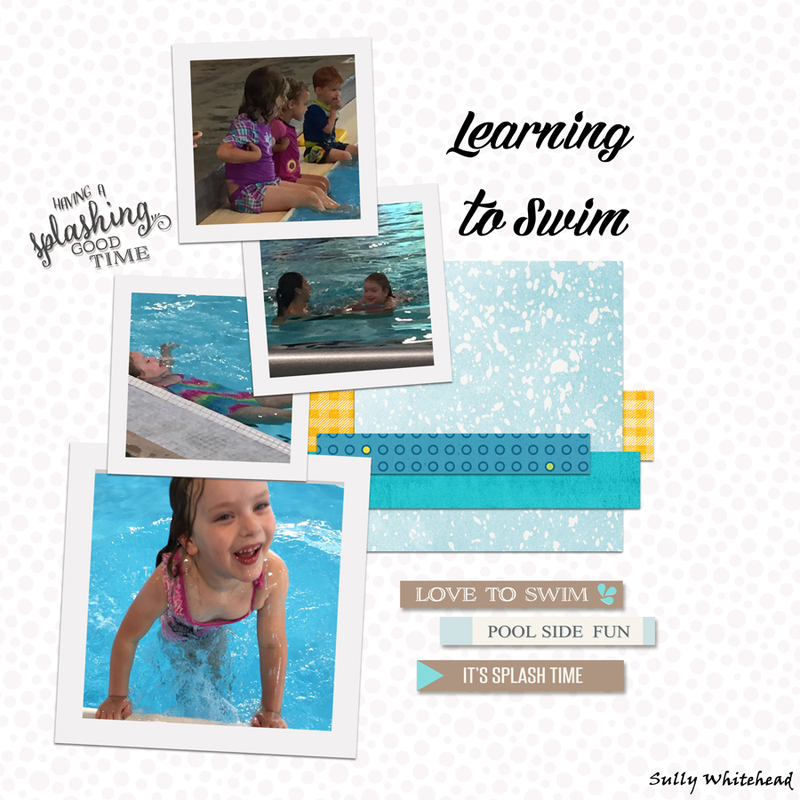 A series of photos showing my grand-daughter learning to swim. In the second to last picture she is floating on her own on her back and then the "See what I did" photo at the end. That's such a great story and your series of photos display it very well! 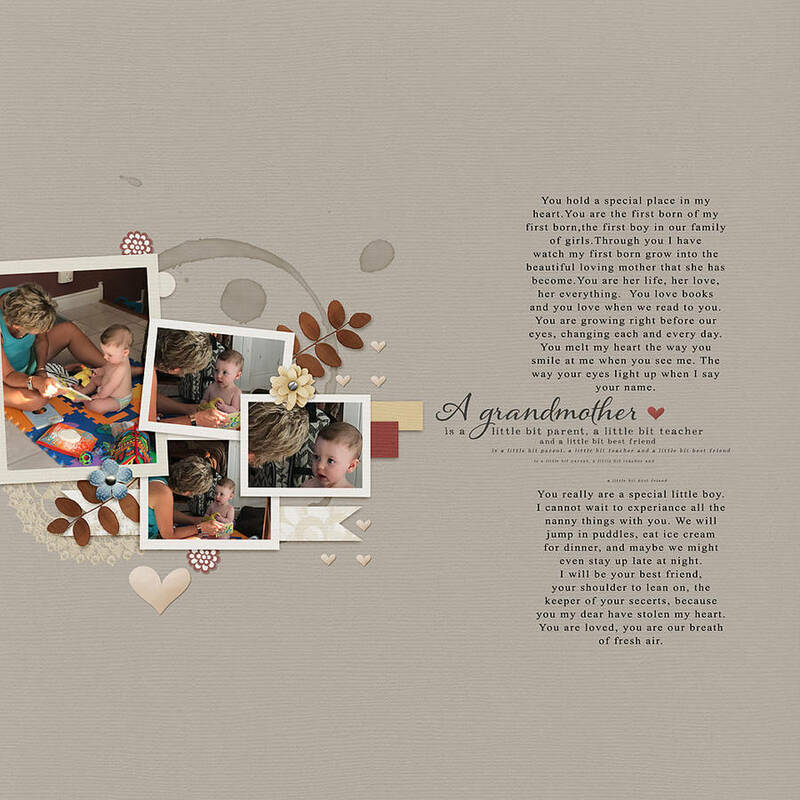 I love the playfulness of your layout and that proud, happy face of your grand-daughter in the last photo. Great job! 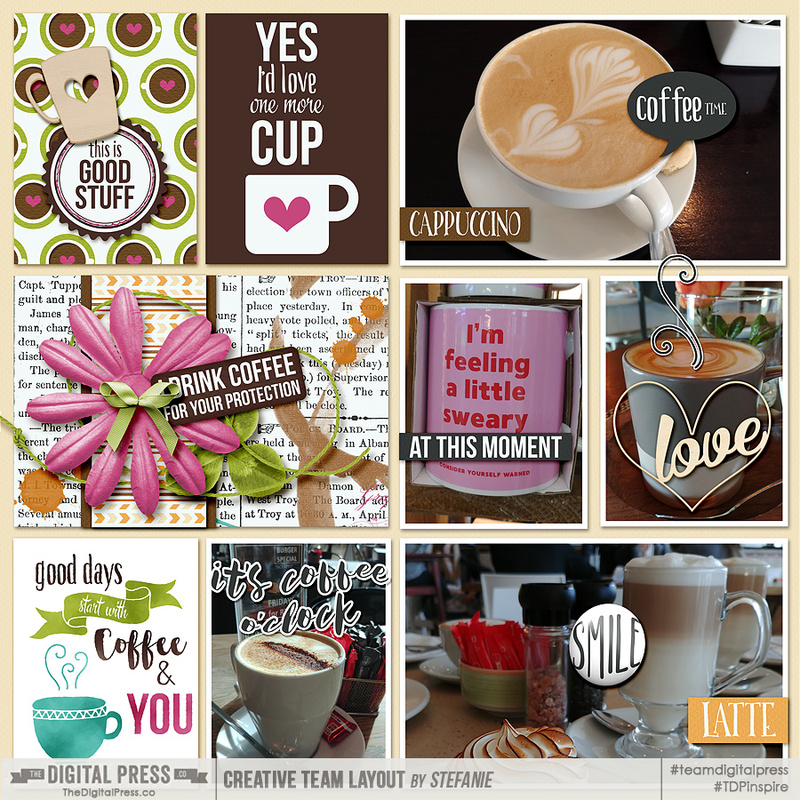 I used 5 photos to share my coffee addiction. Your layout sure makes me crave for nice cup of coffee myself! I love all the photos and how the kit you used match so well with them. I would have counted those photos as a series, but I'm glad you decided to use both because it sure adds to the story and I think it would be nice to read it all in a few years again! I love your use of colors and that you placed everything in a square. It's a very striking layout! 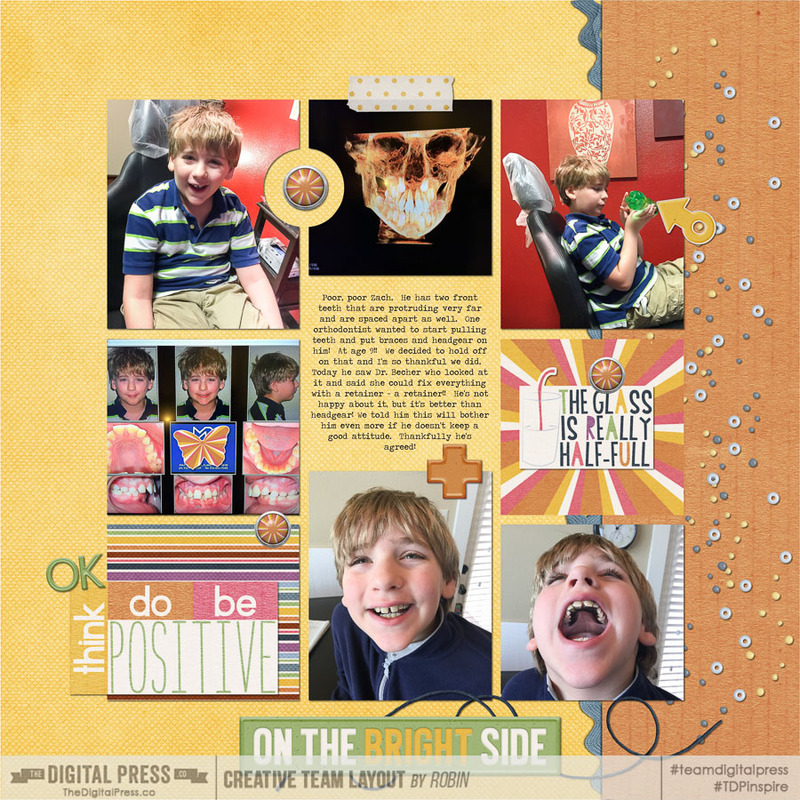 Here is my page for this challenge. Thanks for the inspiration. 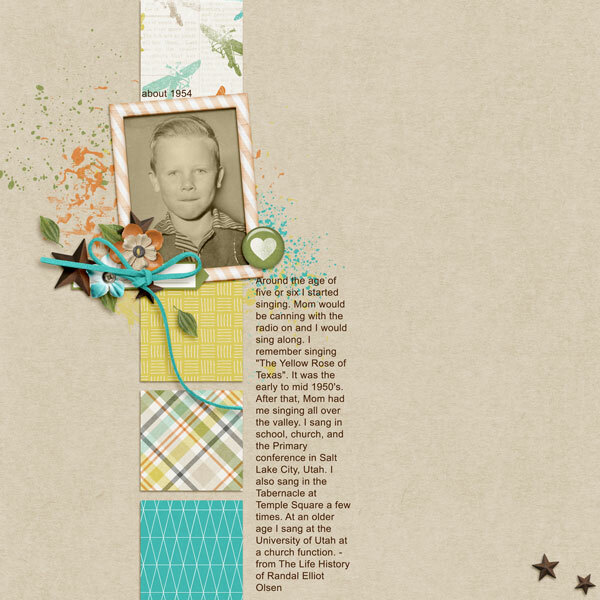 It feels so good to get back to scrapping after taking almost a month off! 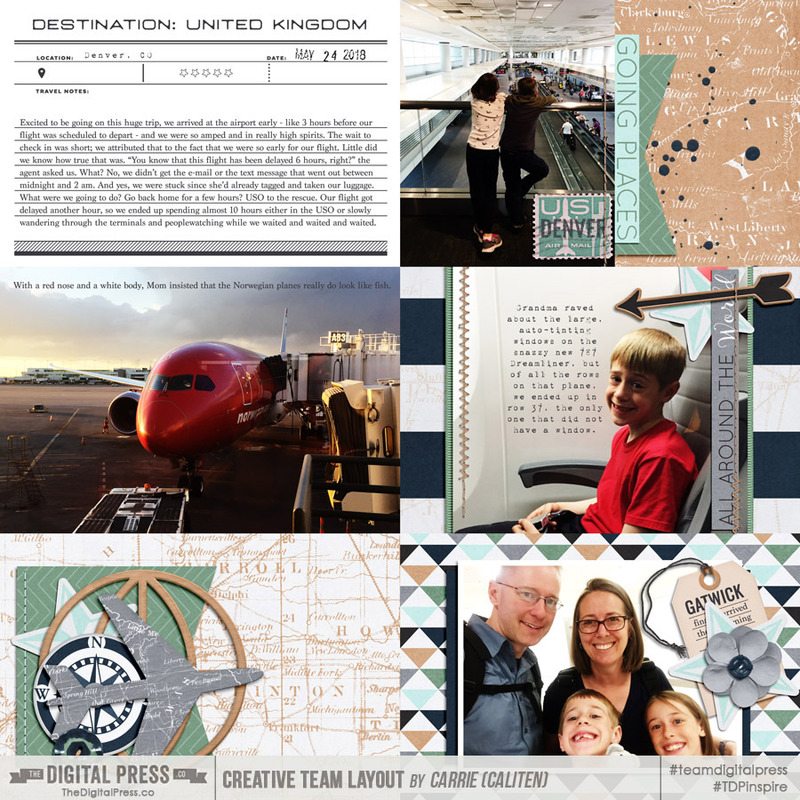 We just got back from a trip to the UK, and it started with the unexpected 7 hour delay of our outbound flight, which is the topic of my page (I'm actually printing it as 6 4x6" photos and stuffing them into a pocket page).